OEMC0040. 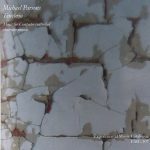 Hugh Shrapnel/Gavin Bryars/Jon Gibson/Christopher Hobbs/Michael Nyman/Michael Parsons. Rhythmic Anthology. 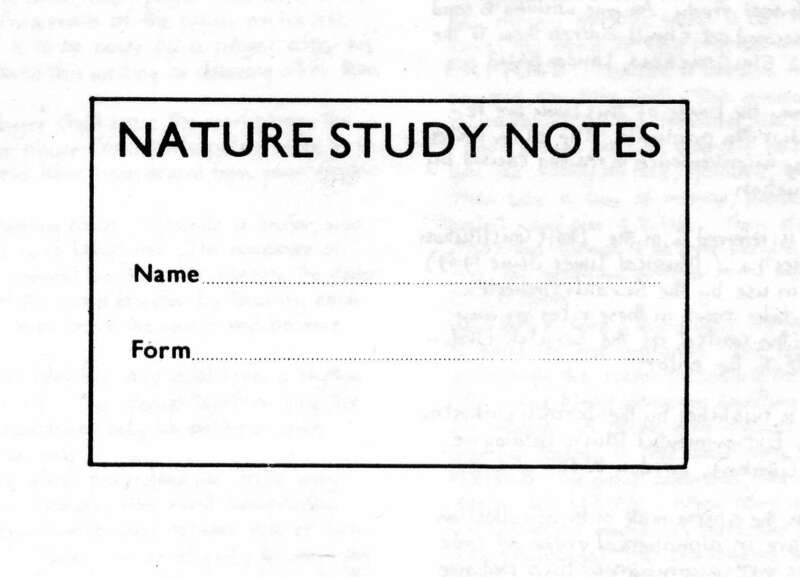 (pdf format). £8.50. CC0038. Cornelius Cardew. Schooltime Compositions. (pdf format). £7.50. 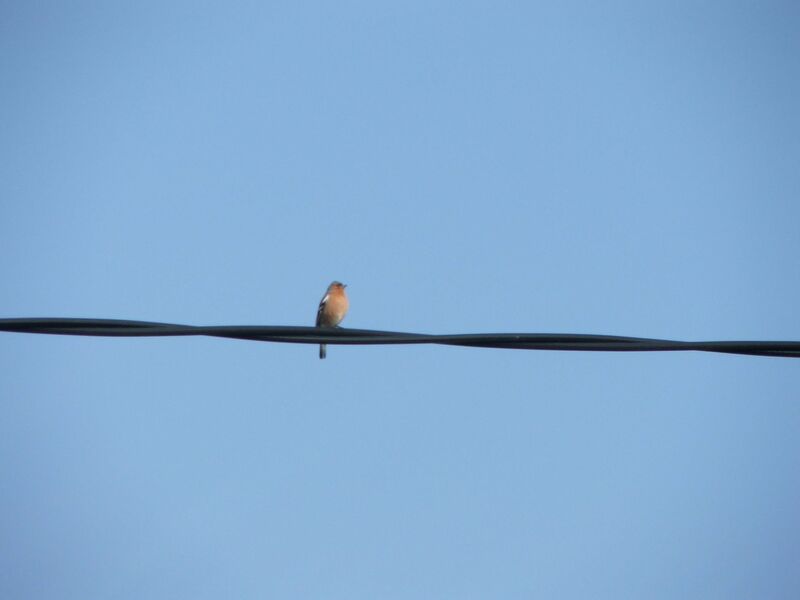 CC0025. 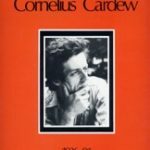 Cornelius Cardew. The Great Learning. £35. OEMC001. Christopher Hobbs and John White. 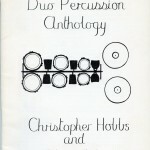 Duo Percussion Anthology. £5. OEMC007. 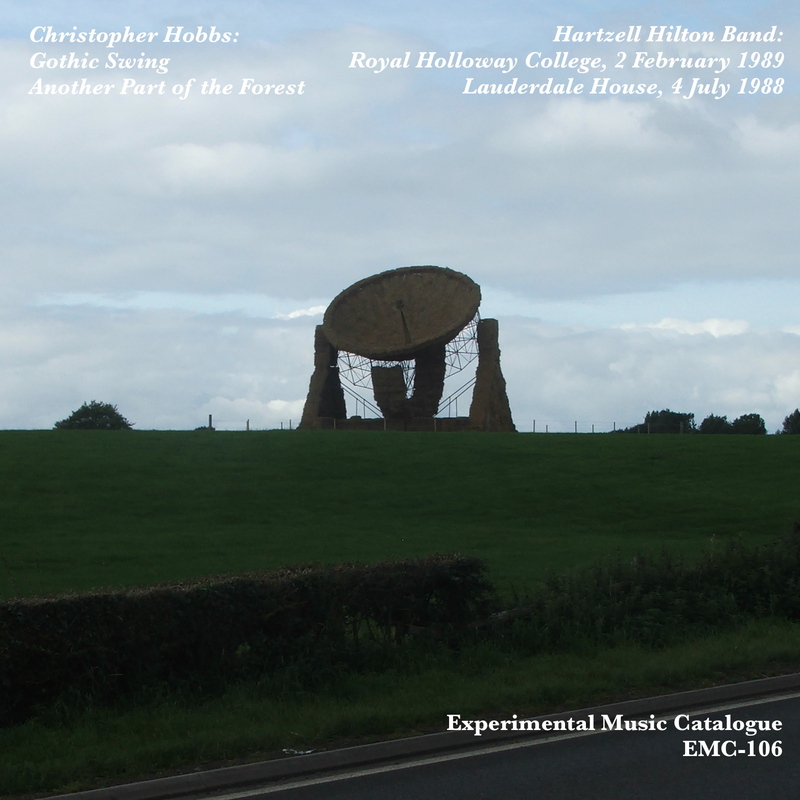 Robert Ashley/Gavin Bryars/Phil Gebbitt/Chris Hobbs/Hugh Shrapnel. Verbal Anthology. £6. FREE! Christopher Hobbs. 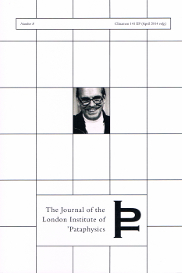 Word Pieces 1966–1970. See Freebies. FREE! John White. Drinking and Hooting Machine. See Freebies. FREE! Various. 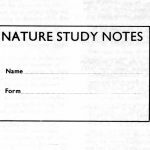 Nature Study Notes, ed. Cornelius Cardew. See Freebies. PTO0038. Alec Hill. The Alec Hill Anthology. £8. PTO002. Christopher Hobbs. 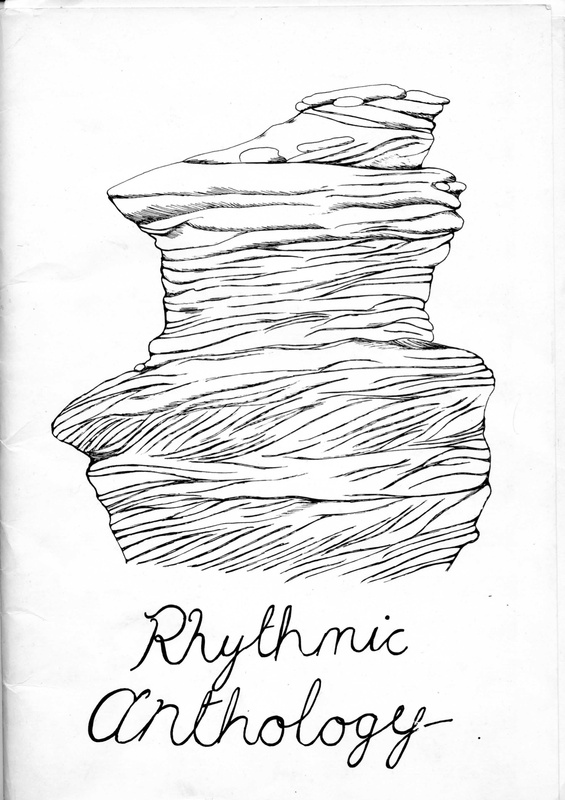 Percussion Anthology. £12. PTO003. Christopher Hobbs. PTO Anthology. £15. PTO008. Hugh Shrapnel. PTO Anthology. £12. CC0019. Cornelius Cardew. Boolavogue. £9. CC0020. Cornelius Cardew. 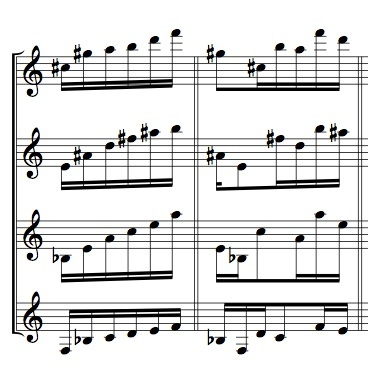 Thälmann Variations. £6. CC0021. Cornelius Cardew. Piano Album 1973. £7. CC0022. 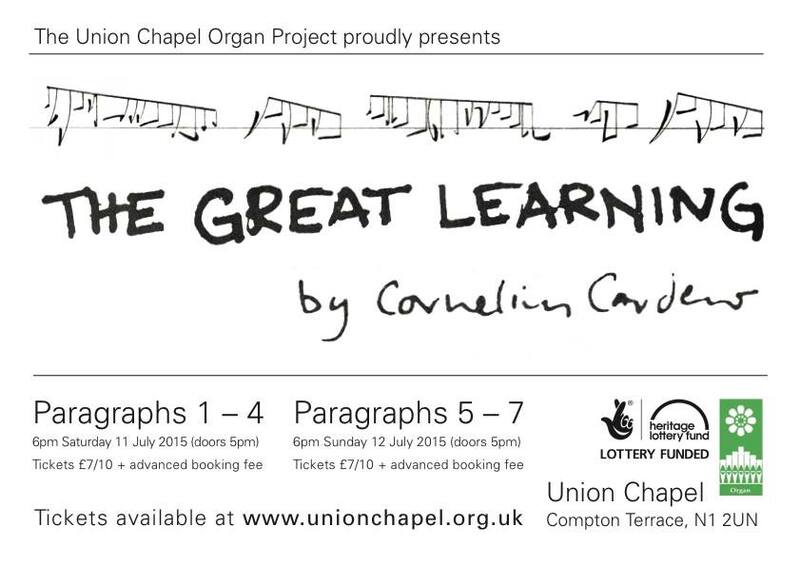 Cornelius Cardew. Piano Album 1974. £6. PF0005. Christopher Hobbs. 24 Preludes for Piano. £15. PF0010. Christopher Hobbs. L’Auteur se Retire. £12. PF0017. Christopher Hobbs. Fifty in Two Thousand. (score) £6.50. PF0033. Christopher Hobbs. Sonatina (1975). £10. PF0034. Christopher Hobbs. 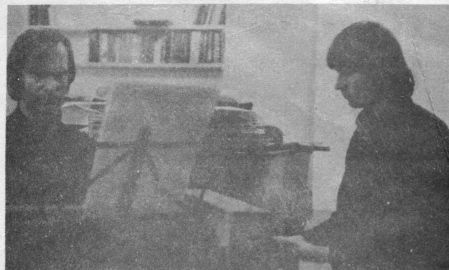 Piano Piece 1973. £2.50. PF0035. Christopher Hobbs. 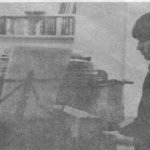 Sonatina 1979. £12. PF0041. Christopher Hobbs. Sudoku 82 (solo version). £5. PF0013. Michael Parsons. 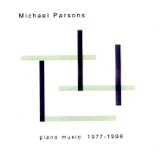 Piano Pieces 1971-74. £10. PN0031. 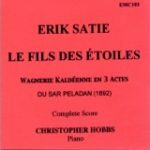 Erik Satie. Le fils de étoiles. 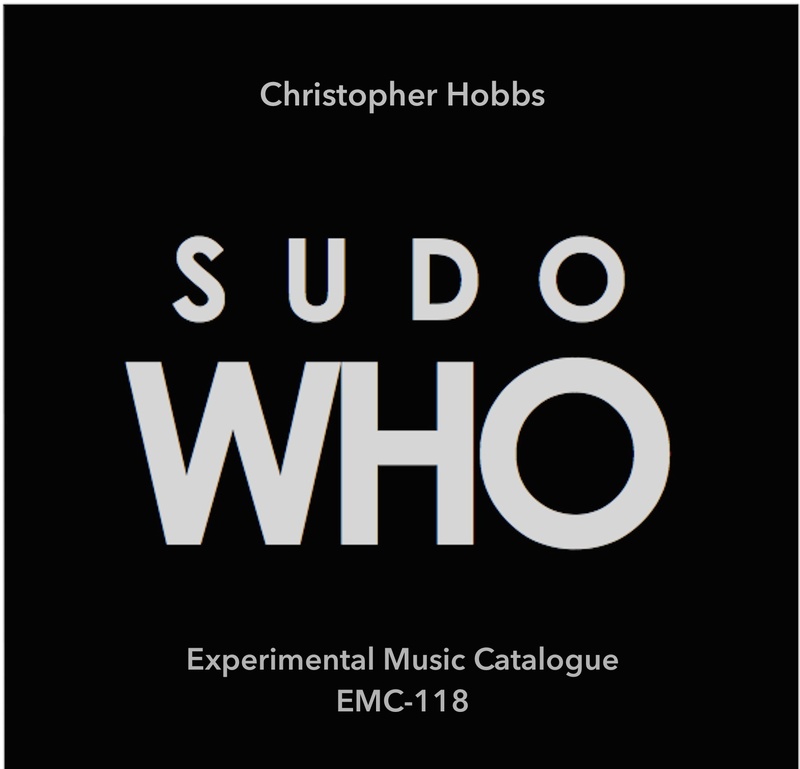 New edition by Christopher Hobbs. £12.50. FREE! Michael Parsons. 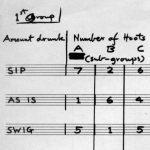 Pentachordal Melody for small ensemble. See the EMC Freebies page. FREE! Michael Parsons. Rhythmic Canons. See the EMC Freebies page. CL0016. 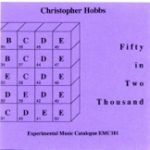 Christopher Hobbs. Swiftly to Virginia. £5. CL0030. Christopher Hobbs. Rites of Passage for solo clarinet, piano (playing tam-tam). £5. CL0025. Dave Smith. Mitchell Principles and Laws on Central Albania. £5.50. FREE! Christopher Hobbs. Why Not? for bass clarinet. See See the EMC Freebies page. 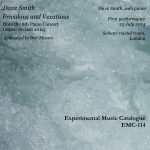 Also, check out The EMC Clarinet Guide for a handy guide to experimental clarinet music. CL0029. Christopher Hobbs. 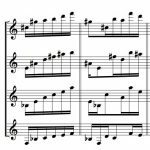 Recitative for bass clarinet, vibraphone, celesta, and percussion. £5. CL0014. Christopher Hobbs. Six Preludes and Five Chorales. £6.50. CL0028. Dominy Clements. Extant-Extinct. £12. VC0012. Christopher Hobbs. 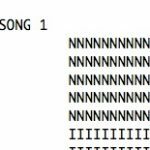 4 Morgenstern Songs. £7. VC0011. Christopher Hobbs. No One May Ever Have the Same Knowledge Again. £5. VC0015. Michael Parsons. Expedition to the North Pole. £10. CC0023. 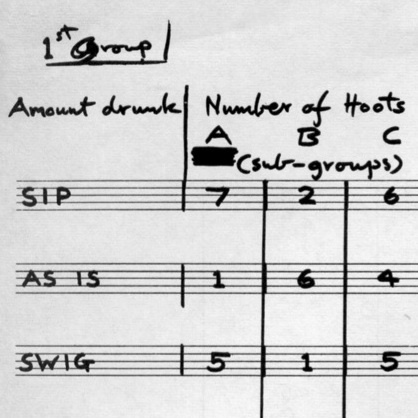 Cornelius Cardew. 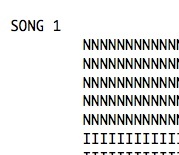 Three Bourgeois Songs. £7.50. BR0039. 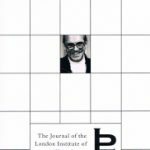 The Journal of the London Institute of ‘Pataphysics. Issues 8 & 9 • Clinamen 141 EP (April 2014 vulg.) £30 plus p + p.
BR0036. Christopher Hobbs. Sudoku 82. 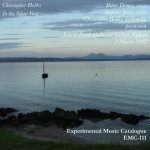 Cold Blue Music (CD Single) £7.50. BR0035. Michael Parsons. Piano Music 1993-2007. (CD) £10. EMC104. Christopher Hobbs. Sudoku Music. Double CD £10. BR0034. Dave Smith. Dave Smith plays Smith. Dave Smith, piano. (CD) £10. BR0033. Horace and Walter Cardew, Stephen Moore, and others. 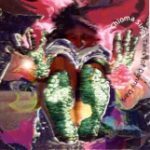 Chioma Sings Tales of Danny Dark (CD) £7. EMC103. Erik Satie. Le fils de étoiles. Played by Christopher Hobbs. (CD) £10. BR0032. 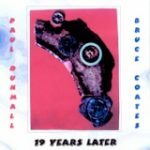 Paul Dunmall and Bruce Coates. 19 Years Later. Soprano Saxophone Duet. (CD) £10. EMC102. The Promenade Theatre Orchestra. 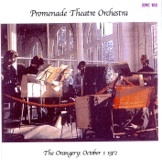 The Orangery: October 1, 1972. (CD) £10. BR0027. Michael Parsons. Piano Music 1977-1996. Record No. 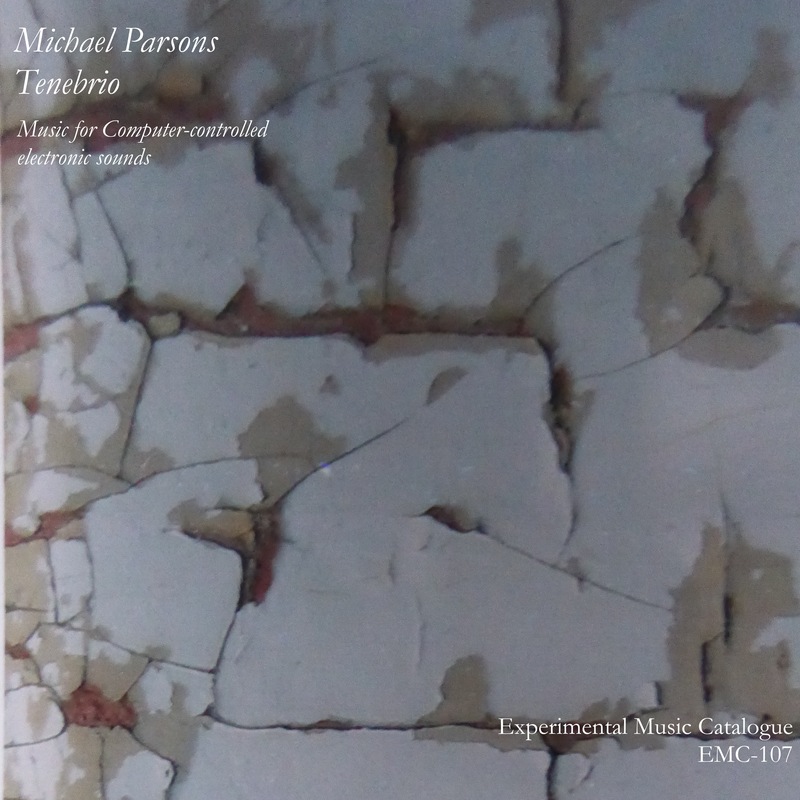 MP0198 (CD) £10. EMC101. Christopher Hobbs. Fifty in Two Thousand. (CD) £10. CC0024. 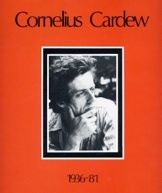 Cornelius Cardew. Memorial Concert. (LP) £30. EMC119. 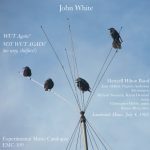 Hobbs-White Duo at Whitechapel Gallery, 6 October 1973.A Bandcamp archival recording download — £0, or what you will! EMC 118. Chris Hobbs. SudoWHO. 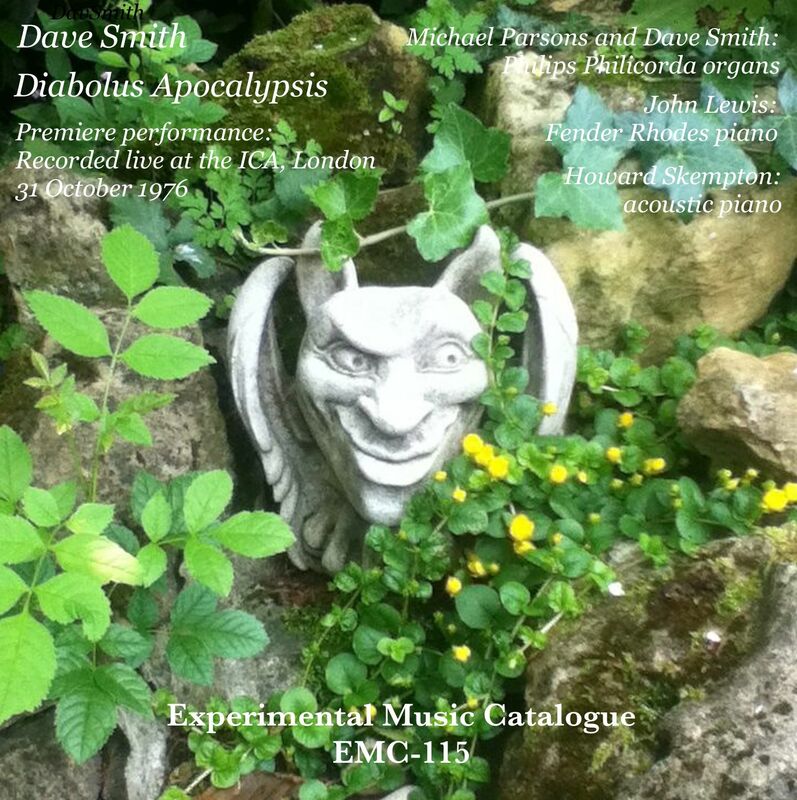 A Bandcamp download — £1, or what you will! EMC 117. 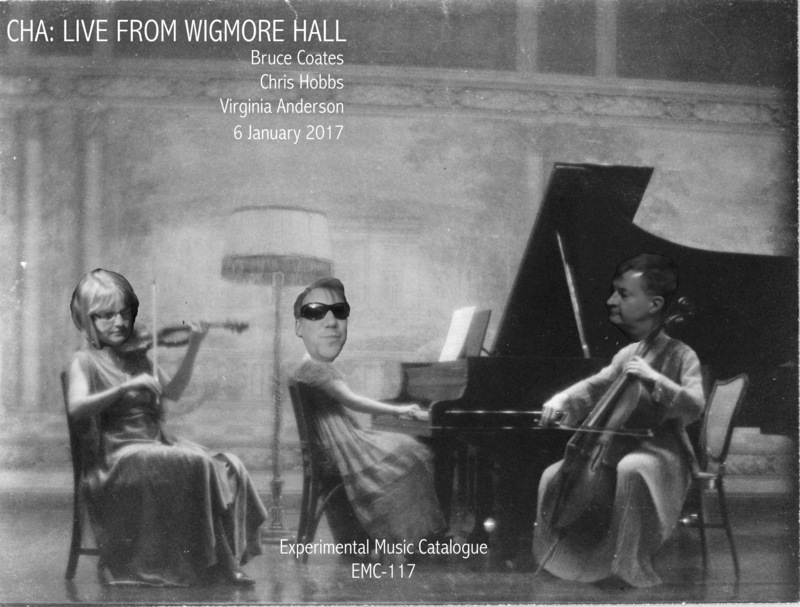 CHA: Bruce Coates, Chris Hobbs, Virginia Anderson. 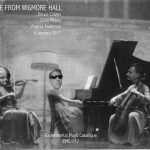 CHA: Live from Wigmore Hall. 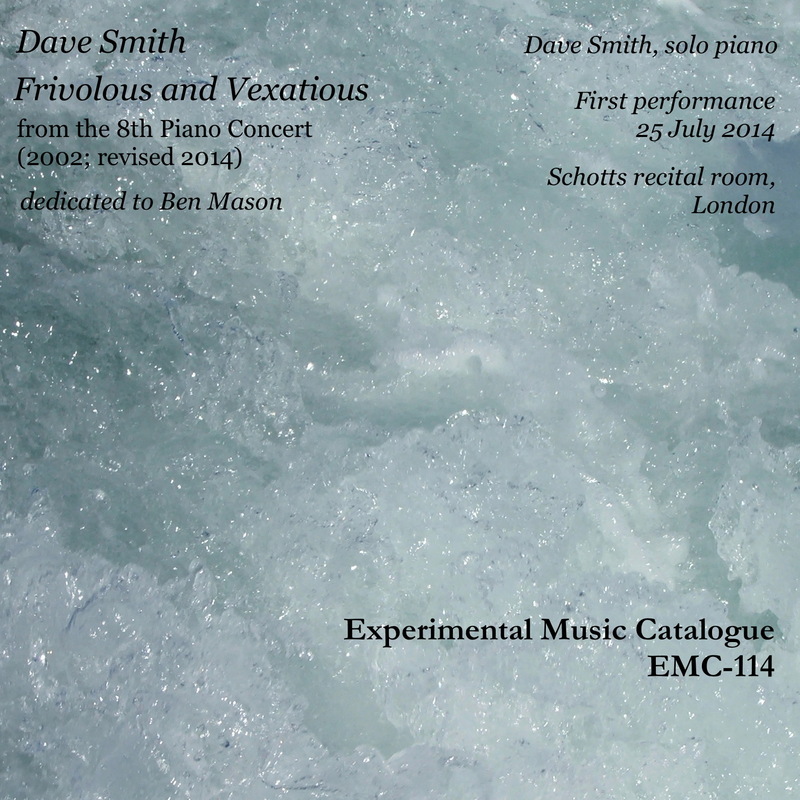 A Bandcamp download — £6, or what you will! EMC 116. Chris Hobbs. Sudoku 126. A Bandcamp download — £3, or what you will! EMC 115. Dave Smith. Diabolus Apocalypsis. 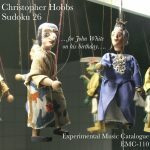 A Bandcamp download — £3, or what you will! EMC 114. Dave Smith. Frivolous and Vexatious. 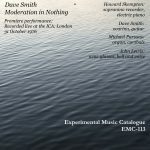 A Bandcamp download — £3, or what you will! EMC 113. 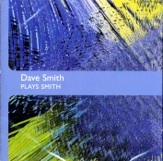 Dave Smith. Moderation in Nothing. 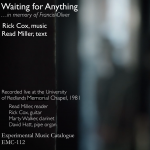 A Bandcamp download — £3, or what you will! EMC 112. 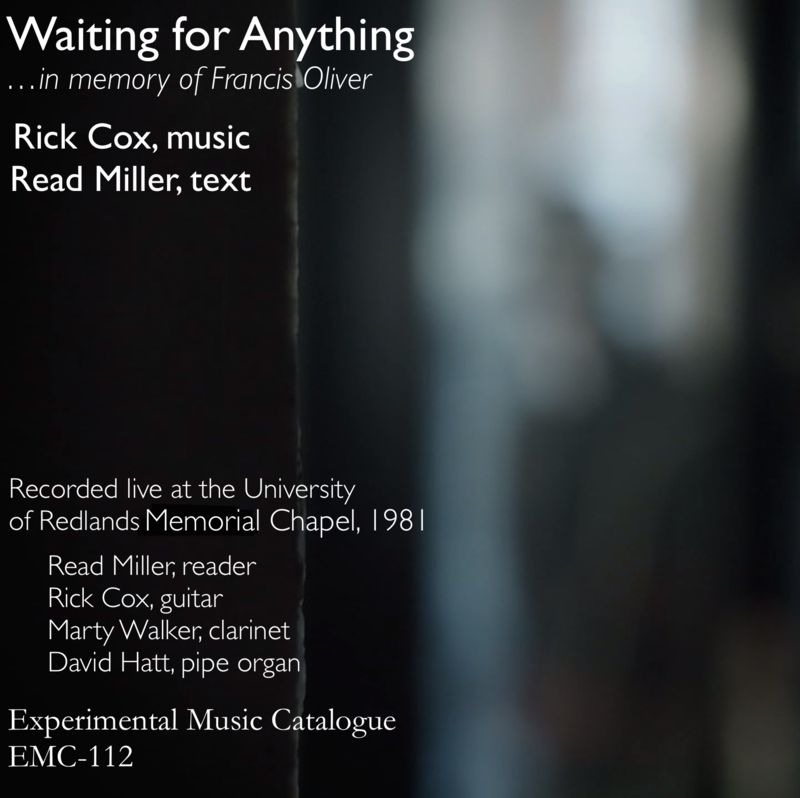 Rick Cox (music), Read Miller (text). Waiting for Anything. 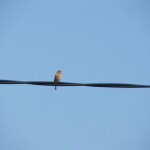 A Bandcamp download — £3, or what you will! EMC 111. Christopher Hobbs In the Silent Void. 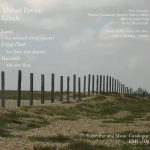 A Bandcamp download — £5, or what you will! EMC 110. 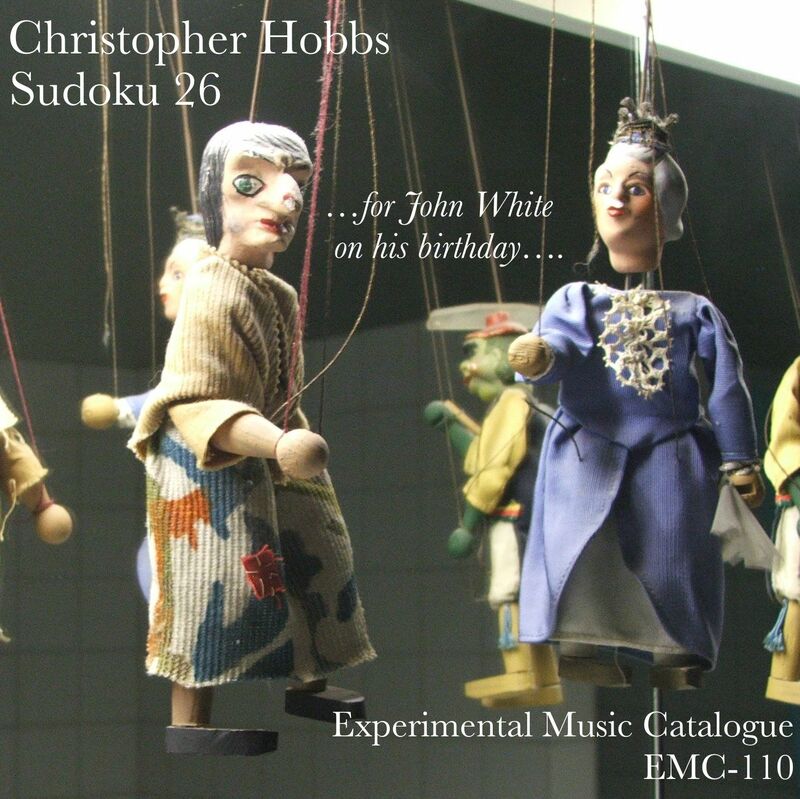 Chris Hobbs Sudoku 26, for John White on his birthday. 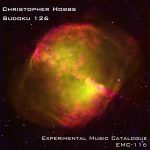 A Bandcamp download — what you will! EMC 109. 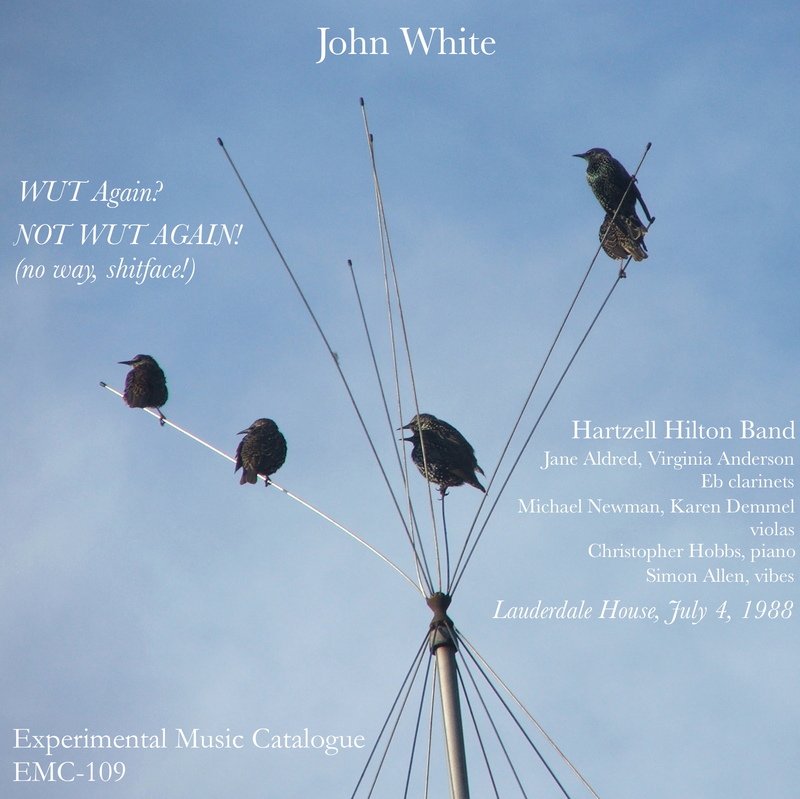 John White WUT Again? NOT WUT AGAIN! 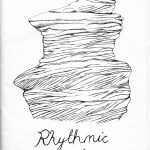 A Bandcamp download — £3, or what you will! EMC 108. 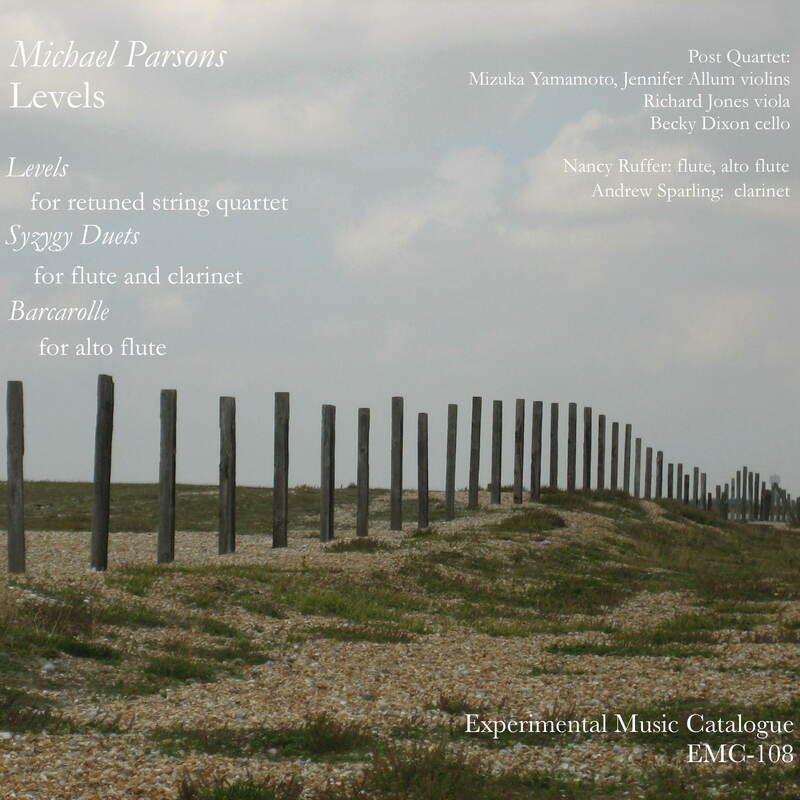 Michael Parsons Levels. 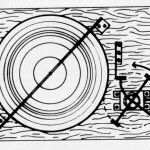 A Bandcamp download — £3, or what you will! EMC 106. Christopher Hobbs Hobbs with the Hartzell Hilton. 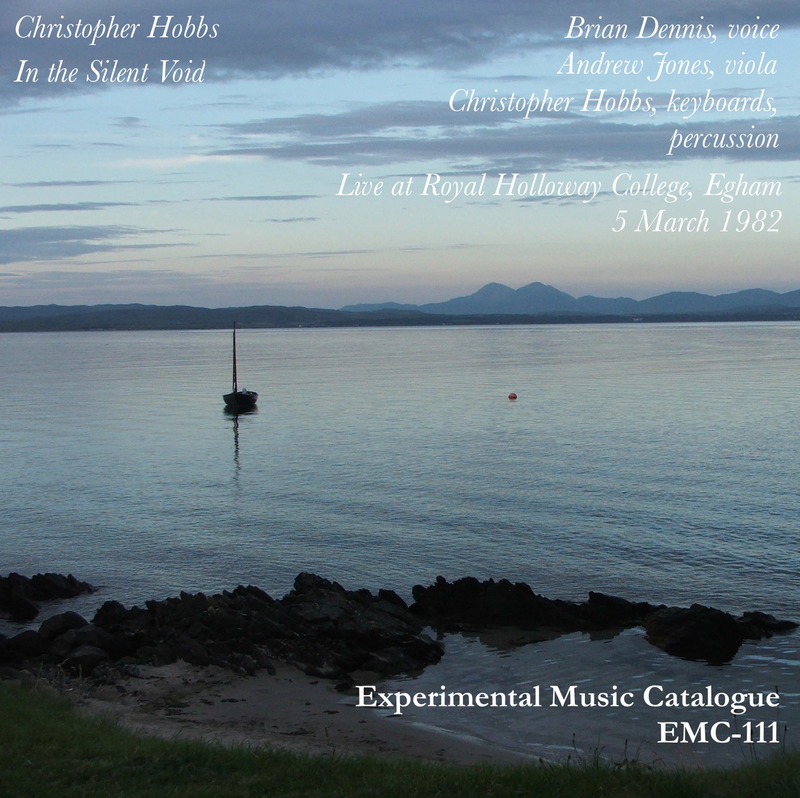 A Bandcamp download — £3, or what you will! EMC 105. 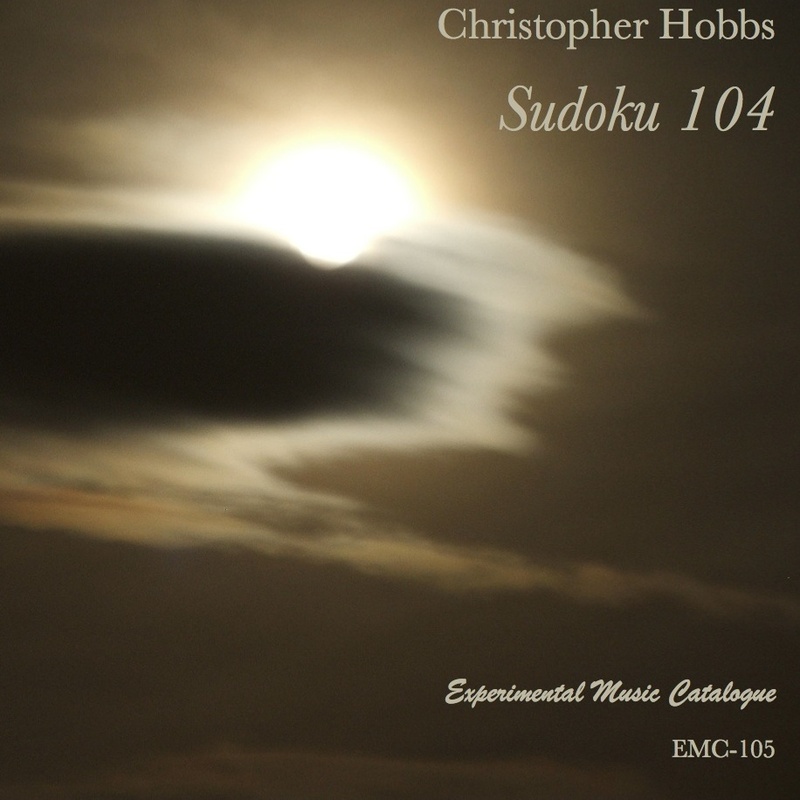 Christopher Hobbs Sudoku 104. 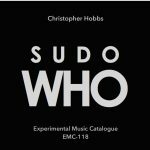 A Bandcamp download — Name your price (including £0.00!). 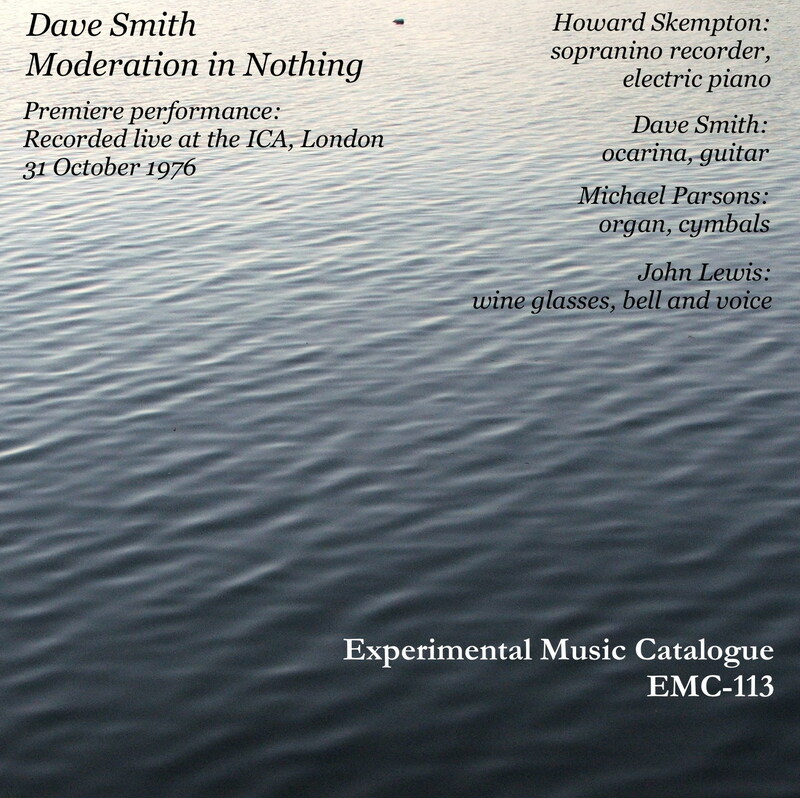 If you are interested in any of the above, e-mail questions**experimentalmusic.co.uk (for the **, substitute @) for postage costs. Payment is made electronically by Paypal; please specify whether you would like a faster or slower delivery of your goods. Because of fluctuating exchange rates, do e-mail us for current prices in any other currency than UK sterling, although we do recommend sterling payments as the most economical way of paying.